Pop Up Event: Raleigh, 4.7.18 — Your Creative Connection, Inc. 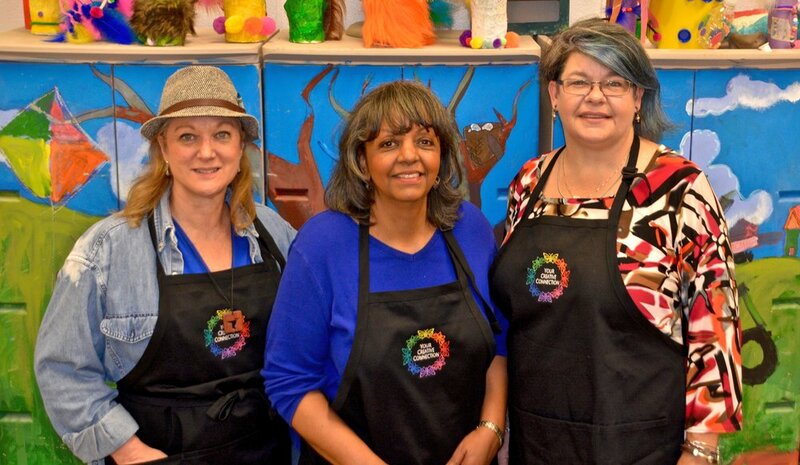 The classroom at Sertoma Arts Center was filled with laughter during a fun-filled afternoon of connection and creativity featuring Penny, Michelle, and guest artist Jeanne Faith d’Orleans as they shared some favorite techniques on Strathmore papers. This mini Your Creative Connection Studio Session was our first event of many to come, and attendees got the chance to meet our Artist Instructors, be the first to try out some Strathmore papers not yet available in stores. Want to be the first to know about upcoming events? Sign up for our Newsletter here. Subscribers to our Newsletter receive information 7-10 days before the rest of the world -- that could make all the difference in securing your spot at upcoming events!